A funny thing happened on Tuesday when both American and United officially filed their first Basic Economy fares in the market. (If you aren’t familiar with Basic Economy, read this.) I had been waiting for this a long time, because while we had known what the program attributes would look like, we didn’t know what the fare levels would be. Now we do, and one thing is clear. The two airlines are taking different approaches in how they test these fares. American started selling Basic Economy in 10 different test markets. The markets appear to have been chosen strategically while the fares themselves are pretty uniform. In general, here’s how American has set this up. The lowest fare in the market is the same, but it’s now Basic Economy instead of regular coach, meaning you get less for the same price you would have paid a couple days ago. Basic Economy will only be offered when relatively low regular coach fares are available (G bucket and below, for those who know what that means). In those cases, regular coach fares will be $20 each way above Basic Economy. When low regular coach fares are not available (meaning G and below buckets are closed for sale), there will be no Basic Economy fare offered. Those higher fare levels have not changed from where they were previously. In other words, what we have is an old-fashioned fare increase on the lower-end fares. Where American is trying to vary things is in the market selection. Here is how I’d describe the markets that were selected. I’m just making this matrix up, but you can see the point. American went into a variety of different markets with the same basic fare structure and it wanted to test them out to see how they’d perform before rolling Basic Economy out further. This was about commercial acceptance of a set plan and not about operational success. That’s very different from how United approached it. When United made its announcement, it focused on an unlikely place: Minneapolis/St Paul. United chose to launch Basic Economy from there to all 7 of its hubs and nothing more. The markets may have varied in distance but not much else. This seems to have been designed on the surface to test it out operationally. It was easy to try to focus on making the airport experience work in Minneapolis (and the hubs, of course), while also dealing with that good ole’ Midwestern politeness that the airline undoubtedly hopes will make for smoother sailing in the early days. United and American are similar in that they both set it up so that the Basic Economy price will be tied to the regular coach fare, but United didn’t just restrict Basic Economy to lower fares like American. Every coach fare has a Basic Economy counterpart, even the highest $1000+ coach fares. United has gone and broken its regular coach fares into two categories. There’s Economy, which is non-refundable, and there’s Economy Flexible which is refundable. The spread versus Basic Economy is different in each category, and it varies by market. Take a look. Now there’s a lot of noise here, so, as they say, your mileage may vary in specific situations. I was just looking at the filed fares and this is what I saw on a general level. These tweaks scream of President Scott Kirby wanting to test little variances. I don’t know for sure if he actually did, but I can just hear Scott telling the team to make it a $25 premium in San Francisco instead of $20. Every little difference can be measured. While I like United’s approach to making this work operationally, I do have problems with the structure. The mere $5 difference between Basic Economy and Economy Flexible is frustrating and obnoxious. That’s a lot of money to spend on something for it to be completely non-refundable, non-changeable, and heavily restricted. That’s especially true considering that for $5 more it could be completely and totally refunded with a variety of other perks involved. I think it adds unnecessary complexity and it’s going to anger more people than it’ll help. It’s not worth the $5 for just about anyone. Of course, these are the early days. For United, the fares aren’t for travel until April 18 while American made them for travel beginning on March 1. You know it won’t be long before the levels start changing and the markets start expanding. So get used to it now. The genie is officially out of the bottle, and it’s not going back in. Now it’s all about finding the structure that’s going to make sense for each airline. At first glance, it’s hard to guess who will actually benefit from American’s plan. $20 isn’t much of a saving, and in this case less is definitely not more. From ABQ, which has no competing service on Spirit or Frontier, you can save a LOT more simply by being flexible with your flight time/date. A 5AM departure is a lot less painful than no seat choice, no bin space, and last to board. (not that BE is even available out of ABQ yet). For now, I’ll continue looking for flights where flying F is within $100 of Y fare + extra-space seating + bag fees. The reduced stress of F is worth it. These days I’m traveling less often, but dreading it a LOT less. Wait, so Economy Flexible is cheaper than regular Economy (less of a premium over Basic Economy)? Am I reading this right? I was confused by that at first, too. The BE fare that is tied to a flexible economy fare is only $5 cheaper. But both are way more expensive than regular (inflexible) Economy. The key to remember is that there isn’t just one BE fare, but one tied to each Economy fare. Kilroy – Oliver got it. BE is tied to the regular selling fare. If it’s a cheaper fare that’s selling with no refunds, then BE will have a greater spread than if it’s a higher refundable fare that’s selling. It’s the spread that varies, not the absolute value. Let’s call all of this what it really is – a fare increase. This is yet another example of the airlines solving first and foremost for shareholders with customers and employees fending for scraps. Yeah, if those BE fares are higher than Frontier/Spirit/… how is that helping the majors compete better? The BE fares should be competitive with F9/NK. The main cabin fares are the ones that are and should be higher than their fares. When I checked some routes a few months ago, the legacy carriers’ lowest fares were higher than the no frills carriers’ fares. Sure, they included more frills, but if the lowest fares are now still higher and have fewer benefits, why’d buy them? Oliver – The point is supposed to be that by stripping out amenities, the fares will be able to be more competitive. But that’s just the theory. I’m going to be curious if we see more fare pressure one the BE product really gets known. I would be so angry if I paid $1000 for a ticket and it didn’t include a carry on bag. That’s what I don’t like about United’s handling of Basic Economy. At least AA and DL only offer Basic Economy only when lower fare buckets are available. In fairness, you probably wouldn’t because the UA website would tell you the restrictions. The main risk is probably corporate booking systems that don’t filter out these fares (many do, configurable by employer) without warning the traveler. Then again, if that happened to me, I would just bring the bag to the gate, check it, and expense the fee. 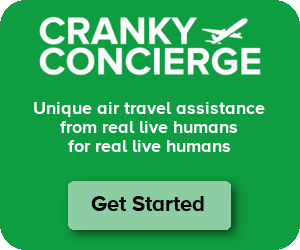 – legacy airlines seem to love complexity, sneakyness, and a transactional approach to people. Thus, people experience it and get angry at them. -i’m curious to see how they’ll appear on their site. so far it seems confusing. thanks cf. i appreciate you bringing this pieces. United created a video that explains the fares. UA also faces a good deal of overlapping WN service from MSP. Chicago, Houston, and Denver immediately come to mind. NK and F9 have some overlaps too if I remember correctly. I had read somewhere that they chose Minneapolis because it was a large-enough UA station that was all mainline (important for UA since they’re more reliant on regionals within the US than AA/DL). I suppose that’s in keeping with the operational considerations that Cranky mentioned. All mainline? Quick search shows UX flights at MSP operated by Republic and Skywest, maybe others. Or perhaps you meant the ground staff (at the gates) is UA? That I don’t know. That’s a good question. Those were apparently the reasons their exec team gave during an investor event for choosing MSP. Maybe they meant that all of their routes have at least one mainline flight? MSP is also the home base of Sun Country. I have no idea how to categorize them, though. SY is a case unto themselves. They do have a loyal following in MSP though, so they must be doing something right. AA is doing an operational test and is using some of their OWN high-profile market to do so while UA is using DL’s hub and markets where UA has no size advantage to test pricing. Given that there are low cost or ultra low cost carriers in many of the markets that UA is testing, UA is doing a test in markets where it will be at a disadvantage from a product perspective since DL’s economy basic fare includes access to the overhead bin for a roller board, space permitting, while customers in MSP have had low cost and ULCC options from MSP alongside DL’s options for quite some time. UA’s schedule at MSP is not all mainline. There are multiple markets that have one or more flights operated by regional carriers. AA and UA might gain some traction against ULCCs with this fare in markets where just the two of them compete but it is hard to believe that AA or UA will be a preferred choice when DL is in the market or when there is a ULCC carrier which will have a lower fare most of the time anyway. And of course the LCCs – WN, B6 don’t put these limitations even where they match ULCC fares. and I still think the whole overhead bin limitations are going to create lots of customer ill will and delays at the gate and on the aircraft. Somehow I bet that there are other airlines that will be planting personnel to observe both AA and UA’s operation given that they have identified the markets. from my perspective, all they will accomplish is making me explore other airlines and flying with them only when there are no other options. Sick of being nickel and dimes to death for an uncomfortable trip in a tight space with little or no food included. My biggest complaint about all this is the way the fares show up on comparison sites. I played around with Kayak with TPA-MIA, and I didn’t see any way to tell whether you’re getting a Basic Economy or regular Economy fare without clicking through to AA’s website. Before this, if you knew the basic policy of an airline you could make a quick determination as to whether or not it was worth comparing, now comparison is more difficult. I suspect this is deliberate, same as Southworst’s policies on third-party fare display. Does anyone know if AA’s fare engine will mix BE and Economy on a connecting itinerary? Cranky’s table lists DFW-TPA as a “leisure” market, but a lot of that traffic is actually connecting to business destination. If I try to book, say, TPA-DFW-FAT, will it display the TPA-DFW leg as BE if it’s available, or if you’re connecting to a non-BE destination will it automatically price out the entire trip as Economy? If the system mixes BE and Economy on the same journey that could lead to some major baggage misunderstandings, especially if in the example the passenger was going FAT-DFW-TPA and shows up at the airport in the Big Raisin with a rollaboard. I thought Fresno was the Windy Raisin. Airlines usually price city pairs not routes. So, they’d price FAT-TPA as one price, so the system wouldn’t be picking out from the DFW-TPA Basic Economy because its not being offered in the FAT-TPA city pair. That being said, I’m sure some GDS’s might figure out how to put those two fares together..
Nick is right. These are only for nonstop flights between the two cities. The fares are not combinable with other fares (except for some efforts to allow BE one direction to be combined with non-BE on the return if BE isn’t available for sale). So it is very isolated to start. Just go back to regulated fares, customers will adapt and so will the airlines. Right now it’s just crazy trying to figure out what a ticket will cost that it’s not even funny. The airlines don’t really care what happens to there customers but if they know there going to get the same amount as anyone else for a particular leg of a flight then maybe they will just have to start improving service rather than trying to figure out how to nickle and dime every one for every last cent of revenue. The bottom line is all there concerned with. “Are you now or have you ever been an airline pricing analyst (fat-fingered ones, excluded)? No eternal punishment is too great for you, thank you! Looking at UA IAD to MSP fares for Tues. April 25, 8:25 am, I see BASIC is $123, one-way. Of course, that’s the lowest fare on Cranky-day (April 1), so maybe the new super dupers aren’t really loaded just yet. But anyway, the BASIC is in Fare Class N, I guess that’s a “bucket” in fare-talk! The Fare Basis Code, is KAA2ARBN, with “AA” in there, snicker, snicker, for whatever reason. “ARB” I guess refers to well, everything is a little arbitrary until we get our million-man legal team to check things out! The applicable fare rule, or whatever that is, talks about UA 2840-2949 and 2V being a no-go, and something about you have to do, what, I’m not sure with, or is it without 9K, AX, C5, G7, OO, RP, S5, YV, and/or YX, but I’m sure ticket sellers everywhere will be able to explain all of that to the “el-cheapo,” or so they think, travelling public. Given that the flight is via UA*, meaning that it is being operated by Mesa Airlines, doing business as (DBA, or is it Dba, or just dba) United Express, world without end, the Lord be you, Amen and Amen, I would think that the all of the DOT-required ticket “disclosure notices” might be a little lengthy, plus additional fees and taxes, depending on your country of origin, etc., etc., etc. Thanks for providing that fare basis code. There was a time when the feds would go after that stuff with a vengeance. They should do the same again now. and if, on UA”s booking site, you ask for the rules for a fare (I looked for a few economy basic fares today too but via their website), you were given the raw CRS fare rules. Seriously? are you incapable of translating that crap into customer-readable language? Basic economy could prove to be one of United’s grand undoings of decent progress. It’s not hard to see that Kirby is now playing for the Chicago team… the Texas one is acting more rational by the day while UA goes in the opposite direction. Tim – That fare basis has nothing to do with American. The first A is in reference to one way. (Roundtrip-required fares have an R there, though I can’t say I ever learned why “A” was used to mean one way though it has been for years.) These codes all mean something, and they can tie rules to the fare basis by having consistent characters in set places. I know these routes are tests, but I really don’t see any purpose for the legacies to offer Basic Economy except to battle Spirit and Frontier when they offer service at the legacy hubs. The problem the legacies have with the ULCCs is the same problem a hotelier has when competing with a hotel that has a resort fee: the competitor’s price looks lower than it really is. I can fully understand why AA would want to offer a fare equal to Frontier’s and offer Frontier-like service: it keeps the pressure on Frontier to stay away from AA’s hub, and doesn’t let customers “freeload” on AA by buying Frontier fares but getting regular AA service. Obviously, almost no business travelers flying on someone else’s time will every book Basic Economy, but they might otherwise booked similar low fares that AA would have previously offered to counter Frontier fares.